A South Korean football player missed the ceremony to pick up his bronze medal Saturday, after the International Olympic Committee (IOC) instructed South Korea to keep him away for his political act after South Korea’s win over Japan. Midfielder Park Jong-woo didn’t stand on the podium with his teammates at Wembley Stadium Saturday to collect his bronze medal. South Korea beat Japan 2-0 Friday in Cardiff to claim its first-ever Olympic football medal. Japan has long claimed as its own. The bronze medal contest took place hours after President Lee Myung-bak made an unprecedented visit to Dokdo, a move that further raised diplomatic tensions between the countries. The KOC, in its own statement, said Park picked up a sign that had been thrown in from the stands and “accidentally ran around with the sign in the heat of the moment” during post-match celebrations. The Olympic Charter prohibits political statements by athletes. 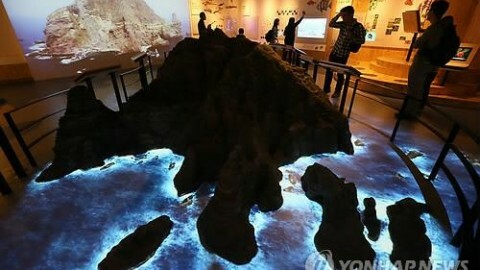 Lee’s visit to Dokdo, the first by a South Korean president, has prompted Japan to recall its ambassador from Seoul. Japanese Foreign Minister Koichiro Gemba has said his government was considering asking the international court to resolve the issue.